Nexon America’s strategic turn-based MMORPG, Atlantica Online, has just unleashed Crucible of the Dragon, the latest content update to the game, featuring Dragon Trial, a new “Time Attack” dungeon. In the Dragon Trial dungeon, players will have a chance to obtain numerous in-game rewards including class-specific necklaces, rings, equipment boxes and the rare Black Wyvern Mount. 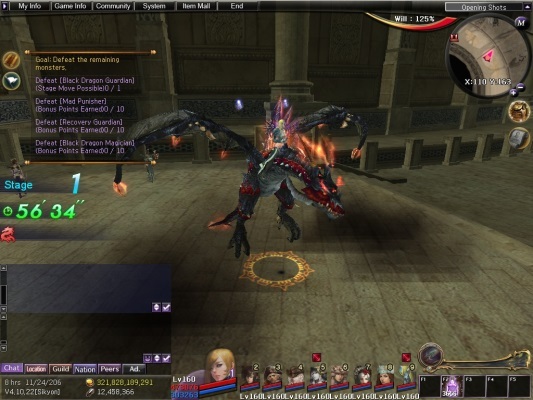 Dragon Trial is geared toward higher level users who are Level 140 and above, and is comprised of five stages. Each stage must be cleared before progressing to the next, and can only be completed once every 20 hours within a one hour time limit. Players must defeat bosses to complete missions. The goal is to obtain as many points as possible before time runs out determined by how many monsters were defeated and how fast the stage was cleared. At the beginning of each month when point calculations are done, the player who accumulated the most points will win a 30-Day Black Wyvern Mount!